I didn’t know Kimberly Curran. I have come to feel, though, as if I did, as if I do. She was someone who touched souls and made a difference in the world, a gentle presence in the lives of those who knew and loved her. She was an abiding presence in the life of her son, who has sought to honor her in the way of his own living, making her name and spirit known to others. In a place of beauty, whatever our mood, whatever the time of day or night, she reminds us to pause, to take it in, to breathe more fully and go easier on ourselves, even as she models for us her own way of carrying and caring for the world. In the relationship of mother and son, I am reminded of my relationship with my own mother. Kimberly reminds me of my mother, as I felt from the first time I met her. Kimberly Curran, the most loving mother a son could ask for; a friend to all; life-long advocate for justice and peace. While jogging around the pond one day this week, I decided I would stop to stretch when I got to Kimberly’s bench. As I approached, I looked with disbelief, feeling I would cry. The plaque was gone, only the space of rough chiseled wood where it had been. I felt pain and consternation that I wanted to share with someone, but there was no else there in the fading light of dusk. I wanted to ask a passerby if they had ever seen Kimberly’s plaque, that perhaps another would share my concern, but none passed by. I looked in the bushes behind the bench, so hard to go on. If it was vandalism, perhaps someone had pried it loose and maliciously tossed it, causing enough pain just by removing it. If stolen, more likely for the value of the bronze. It is all about the way of our going, around the pond and through life. The way of our going and of our treatment of each other, two themes that form an entwined thread that runs throughout the weekly Torah portion called B’har-B’chukotai, a double portion (Lev. 25:1-27:34). In the first of the two, the Sabbatical and the Jubilee cycle, seven years and seven times seven years teach of homecoming and return, of rest and harmony. The land is to rest, slaves set free, those distant come home now, returning to family and ancestral land. From this portion, a teaching that we are not to hurt each other, even with words, as the rabbis understand the verse: you shall not grieve one another, and you shall revere your God (Lev. 25:17). So we are warned concerning ona’at d’varim/hurting with words. I wondered about the hurt caused by removing words, withholding words when they should be said, removing a plaque with beautiful words so soothing in their presence, emptiness in their stead. Even when there is none to know the doer of the deed, hurt caused in secret, so we are to cultivate reverence/awe before God in Whose presence we stand, whether to hurt or to heal. That is to be the way of our going, as the portion B’chukotai opens, im b’chukotai telechu/if you will walk in My statutes (Lev. 26:3). The root halach, to walk, to go, echoes throughout the portion, reminding of the way, around the pond, through life. Around the pond early this morning, I searched in the bushes again. 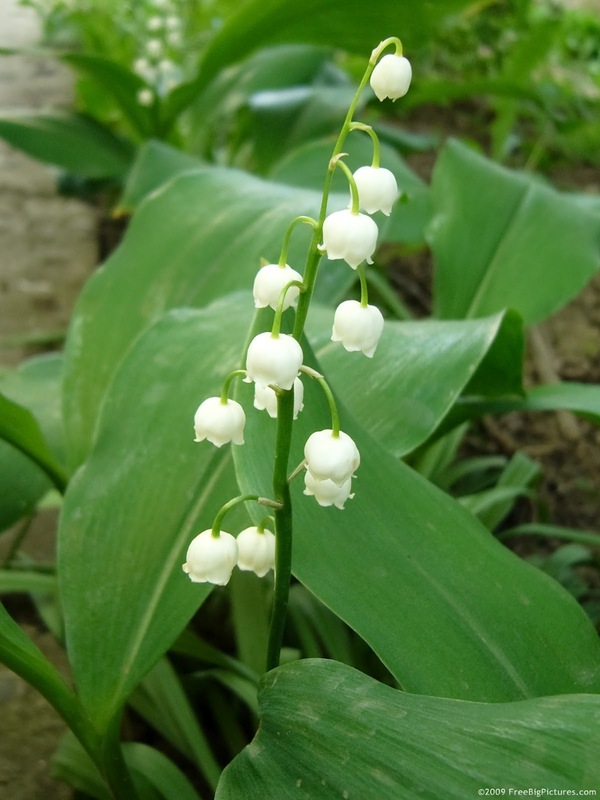 In the rising light, fading white flowers, Lily of the Valley perhaps, but they were not, enough alike though to make me think of my mother and her favorite flower and of what she might say. I don’t think I really believed I would find the plaque. I was hoping most of all to be wrong, to realize that I had been too quick in my judgment. Like my mother, Kimberly would probably look through eyes more optimistic and forgiving. “Why do you think it was stolen, perhaps it was taken out to be cleaned and reaffixed?” Perhaps. I would like to think that. I look forward to its return. In the meantime, Kimberly’s presence is still felt, her spirit gentle along the shore as we walk around the pond and through life.